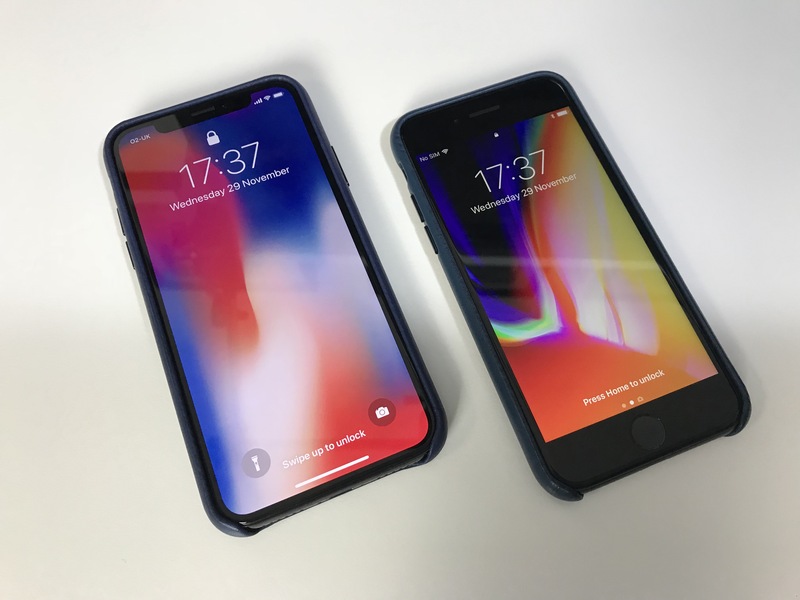 In September 2017, Apple unveiled (with much anticipation) the new iPhone X. Alongside it, the iPhone 8 and 8 Plus were also announced. The 8 models were available to buy shortly after, shipping on the 23rd of September, but the X model was still a few months away, to be released on the 3rd of November. Not being much of a phone enthusiast (I use my iPad Pro for a lot of my iOS related tasks), and in an almost desperate need to upgrade my ageing (and somewhat failing) iPhone 6 Plus from 2014, I decided to purchase the iPhone 8. It was available ‘now’, and a worthy upgrade with a new A11 Bionic chip, wireless charging, a 4k camera and Touch ID 2, to name a few of the upgrades. Once the iPhone X was released, I was still fairly content with my iPhone 8. However, I felt that I was ‘missing out’ on the iPhone X hype. Take that for what it’s worth. I went to the Lakeside Apple Store and had a brief play with the X, but truth be told my mind was already made up. The very next morning, I logged onto the Apple Store’s website at 6am and (luckily?) managed to reserve a Space Grey 64GB iPhone X at Covent Garden for same-day pick-up. Not many stores had availability, and suffice to say, stock was gone within a few minutes. So I made the (cold!) trek to Covent Garden on Monday morning (27th November) to pick-up my new phone. The process was fairly quick and I was in and out of the store, also picking up a leather cover in Midnight Blue, which matches my Midnight Blue iPad Pro and MacBook sleeves. Gorgeous colour, no doubt! Okay, so later that evening I finally got around to setting up my new iPhone X. Is it with the upgrade over the iPhone 8? First impressions were very positive. The phone is just very slightly bigger than the 4.7” iPhone 8, but being almost bezel-less, features a 5.8” display. When I first held the X, it was notable heavier at 174 grams (vs 148 grams of the iPhone 8), and slightly thicker, too. The X does feature a very similar design to the iPhone 8, yet at the same time, is distinctly different. It almost felt like upgrading from an aluminium Apple Watch Sports model to the Stainless Steel model all over again. Here are some of the most notable upgrades that the X brings over the iPhone 8. Some are not ready to abandon Touch ID yet in favour of Face ID, and see little benefit of the X over the 8 models, particularly the 8 Plus. For this reason, online forums are rampant with debates over these models. For me personally, I have no objection to embrace new technology and be an early adopter. From my usage, I have noticed that Face ID is slightly slower than Touch ID, which has had almost 5 years of refinement. As Face ID is still in its infancy, it can only develop and improve over time. But I was impressed with how well it did actually work. The Animojis are a fun and novel feature, but not a key selling point for me personally. Having used the iPhone 8 for the best part of 2 months, and now having the X, I can say that they are both essentially the same phone. From a hardware perspective, looking at speed and specs, both perform to the same level. They are both lightning fast and a pleasure to use. However, the X adds new features which sets it apart. The 8, although an upgrade, feels a little too familiar. The iconic home button has been present on the iPhone for 10 years now, and with new technological advancements, its removal is both practical and functional. My thoughts are that the X looks a little cleaner with no home button on a mobile device. For now, Touch ID only recently made it’s way to the MacBook (November 2016), so isn’t going to die completely anytime soon. But it definitely seems likely that the iPhone 8 will be the last iPhone to feature it. PS: I didn’t even bother to go into the whole ‘issue’ about the ‘notch’ at the top of the screen. There has been a lot of debate about this. But this is a personal blog post on my thoughts and reasons for purchase, and as the notch really does not bother me one bit, I have omitted any mention of this in the main post. « B&O Beoplay E8 by Bang & Olufsen – An AirPods beater?